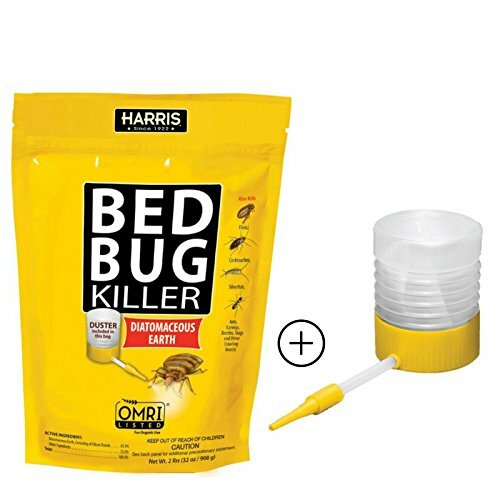 In this section, you'll find product reviews for the best bed bug killers on the market in 2018. There’s nothing quite as horrifying than the realization that you have the little pests crawling over you when you’re asleep! Want to skip all this research and just hire a decent exterminator to kill your bed bugs? If your first reaction is to spray down your entire house with chemicals when you see a bug that you THINK looks like a bed bug, then you're setting yourself up to get either you or your family sick. It is ESSENTIAL, for you to remain calm if you have bed bugs. Reproduction is semi-fast with females laying an egg or two every day, which in turns hatches after ten days. The first reaction is often stress and panic, especially if you’ve discovered them in your bed. But, it’s essential to remain calm and avoid overreacting. If you think you have bed bugs, we HIGHLY recommend you first contact an exterminator and establish a strategy to maximize your chances of success. If you attempt to kill bed bugs on your own, you risk making the infestation worse. The products we recommend in this article should be used with extreme discretion. One of the main issues is that there is A LOT of bad advice out on the internet. The VAST majority of articles online are just continually circulating the same bad advice causing many home owners and eventually their friends and family grief! The objective of this page is to shed a little light on which products are the best in ACTUALLY killing bed bugs. As I’ve mentioned, there’s a lot of bad advice on the best bed bug killers. If you use the wrong method of eradication, you run the risk of having a false sense of security and the infestation level returning to its original size within a few weeks. Avoid foggers or bug bombs. The particles in these canisters contain a small dose of insecticide that can’t get to all the places where bed bugs like to hide, which means it doesn’t kill all them. Instead, it leaves you with a chemical infested home and a worse bed bug problem. The bed bug problem gets worse because the chemicals will force bed bugs to move around to avoid it spreading their colony into new parts of your home. The best bed bug killer is an exterminator. It's unfortunate but true. Some products can control small populations and kill the ones that you can see but larger infestations always need professional help. Bed bugs can hide just about anywhere. They can hide in the tiny cracks on the mattress that are almost impossible find, in your head board, under your end table next to your bed, and many other spots so long as they are near their food source. Because of their fast rate of reproduction, a small number of survivors can return to infestation levels again very quickly. Our advice, call an exterminator as soon as you’re aware of a problem. If you happen to find the bugs on your clothes or in the bed sheets, bed bug heat treatments do work. Wash on a high heat to get them off your clothes and to kill the bed bug eggs. Traps and mattress encasements also help but they are more of a defensive measure to monitor if you have bed bugs (e.g., if your traps catch anything) and protect your bed from infestations. Here's more information on the cost of bed bug treatments. First of all, if you DO think you have bed bugs and you WANT to try to kill them yourself, you have a couple options. See below for a quick summary of each and what are top pick are. Although they sound intimidating, bed bug traps aren't designed to actually KILL bed bugs. Instead, you put them under the legs of your bed and bed bugs attempt to crawl through them to get to you (think of yourself as human bait!). They're designed to capture bed bugs and are best used to detect if you have a bed bug problem. Another option to kill bed bugs includes spray. Spraying CAN kill bed bugs if the chemical comes into direct contact with the bug. Sprays should be administered in the cracks and crevices of the house where the bed bugs are likely to hide. Just remember, if you spray your house you risk making your bed bug problem worse by "splintering" the colony as they try to escape the chemicals. Similar to bed bug traps, bed bug encasements don't actually KILL bed bugs but rather protect your mattress from a bed bug infestation. This is important because it could help when removing bed bugs from your home as it's one less place for them to hide! Encasements are also beneficial as to protect the money you likely spent on your bed. Thinking about trying to kill bed bugs on your own? Then your probably considering a steam treatment and/or using a vacuum. Both of these tools can work if deployed properly, but you should think of them more as a complement to an overall bed bug elimination plan and not a magic bullet solution. See below for our top picks. Slightly different than your other bed bug killing options, a bed bug powder is used to remove the waxy outer coating of a bed bug's skin. When their waxy coat is removed, it results in the bed bug drying out from moisture loss resulting in death. Not all powders work though... so see which ones we found to be the most helpful. 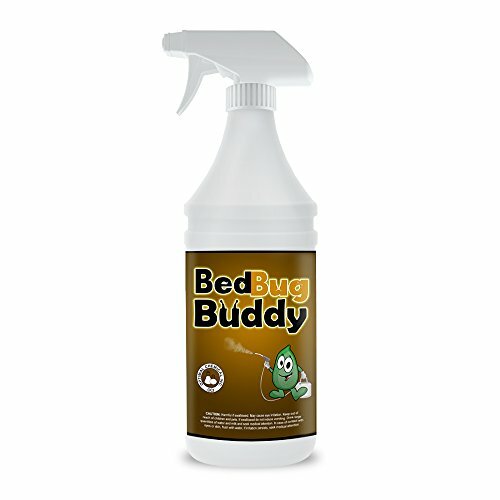 Looking for a completely natural approach to eradicating bed bugs? 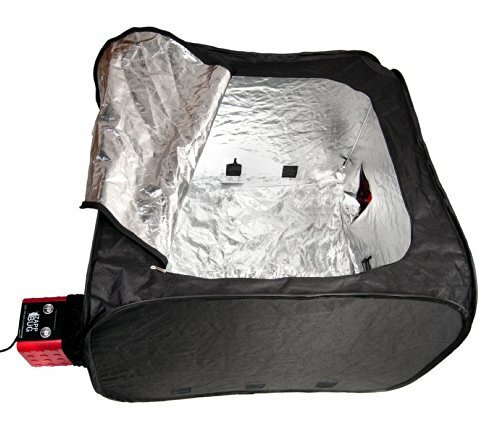 Then you should be looking into bed bug heaters. Bed bugs and their eggs start to die when exposed to temperatures of 115+ degrees. The best part is... it's chemical free and one of the most used methods of bed bug removal by professionals. When it comes to bed bug, sprays have their place to help remove the bugs from nooks and crannies from around the house. Be careful however, if you use sprays you risk splintering the colony and making your problem worse. 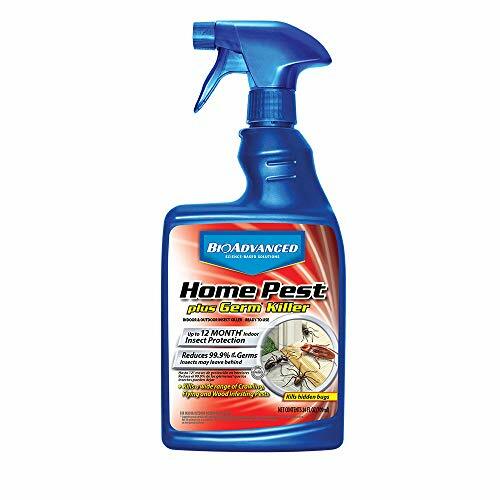 Why it's the best: A little non-traditional since it isn't marketed as a regular bed bug killer, many customers have reported seeing positive results and a reduction in their bed bug problem when using this stuff. Unfortunately, it does have a significant odor, which might stink up your house. Why it's the best: Bed bug buddy has been around for a couple years now and is widely regarded as one of the most popular off-the-shelf bed bug killers you can get. The spray uses natural ingredients such as rosemary and citronella oils, which helps make it a non-toxic and child/pet safe option. Click here for a full detailed review for Bed Bug Buddy Spray (Formerly Bed Bug Bully). Why it's the best: If you have a bed bug problem you need to turn to the products that actually work and despite all the marketing hype not many products actually kill bed bugs. Bedlam on the other hand is the choice of the professionals and is one of our "go-to" recommendations. Always handle with care and consult a professional before using on your own! Why it's the best: Made from the seed of the need tree, Proof uses neem oil as its natural biopesticide. Similar to Bayer Advanced, the neem oil also leaves a very potent odor that will stink up your house. 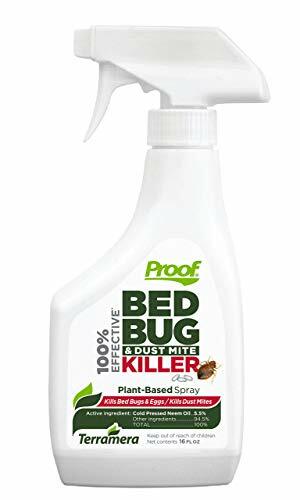 We prefer to recommend natural products, so this one is a thumbs up in our book if you want to try to kill bed bugs yourself. Click here for a full detailed review for Proof Bed Bug Spray. When it comes to bed bug defense strategies, we love bed bug traps. Why? Because they don't use chemicals, can help notify you if an infestation is beginning, and they are inexpensive. See our top picks! Why it's the best: This is our pick for the best beg bug trap on the market. It performs well under large beds and comes in multiple sizes for various bed dimensions. The main difference is that these traps do a bit better on carpet, where other traps tend to break more easily. 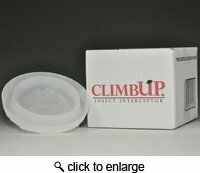 Why it's the best: Second to the BEAP model we mentioned above, ClimbUps are also a very popular bed bug trap. 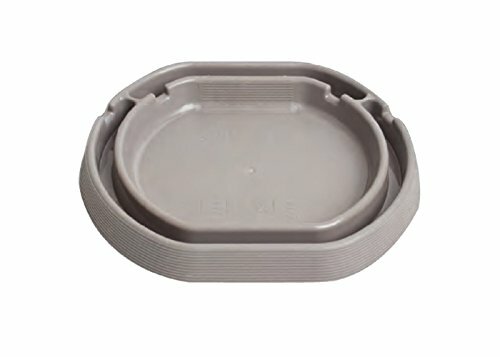 They are made of polypropylene, making them stronger and more flexible than normal plastic (other bad bed bug traps). Similar to bed bug traps, encasements are a great, relatively "cheap" way of preventing bed bugs from infesting your bed. Mattresses and box springs can be expensive, so we recommend all homeowners (regardless of infestation) to grab one. Why it's the best: We really like the SureGuard due to its 100% cotton top layer and the 10 year quality guarantee. Most competitor brands make synthetic polyester covers that "crinkle" when you move around at night and heat up fairly quickly. The cotton top layer is a very breathable fabric, which makes it our #1. 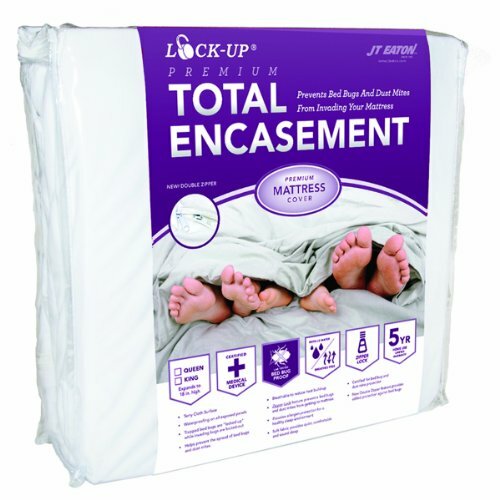 Why it's the best: Lock Up is another decent bed bug encasement brand. 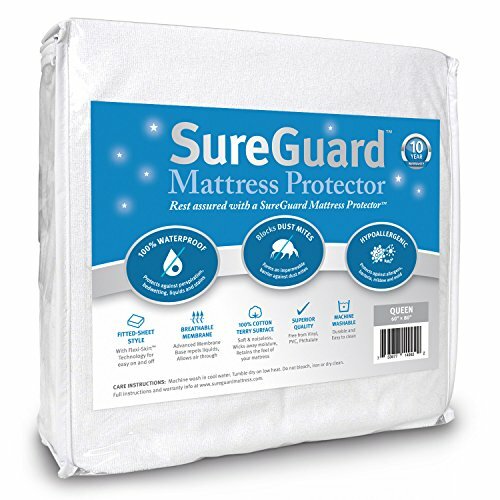 This product is made of a polyurethane interior liner, and a poly-cotton terry exterior liner which holds up well against bed bugs. This product is also water resistant and machine washable. The last tools we've mentioned in our list includes bed bug steamers and vacuums. They are great for travelers who need to apply heat to their travel belongings or clean up their home from a previous treatment. See our top picks below! 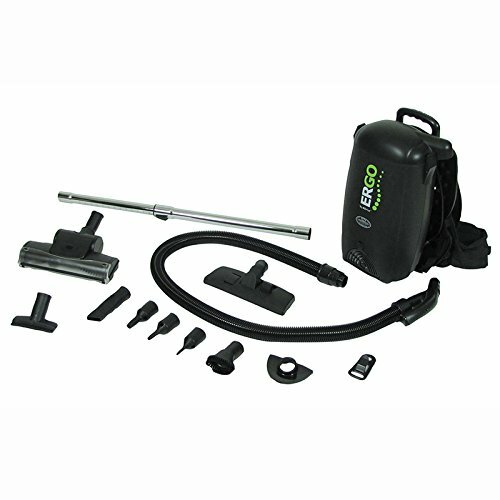 Why it's the best: The Vapamore Steam Cleaners is a top-notch product and it comes highly recommended as a consumer friendly (but still premium) steam cleaning unit. 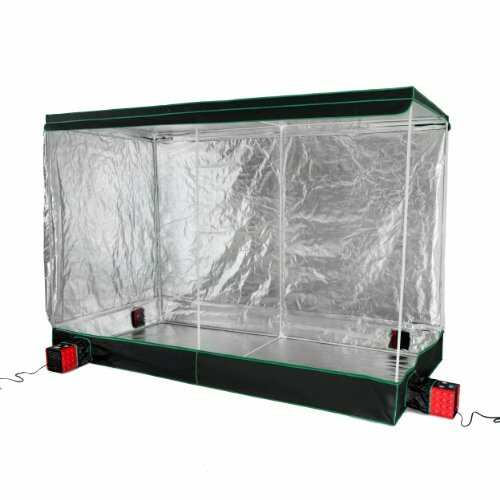 It has a large water tank providing 60 minutes of use and utilizes dry vapor technology to reduce the amount of moisture expelled to decrease the risk of mold. Why it's the best: The Atrix brand of vacuums are closer to commercial grade vacs but it is important to increase the level of vacuum you use when dealing with bed bugs. 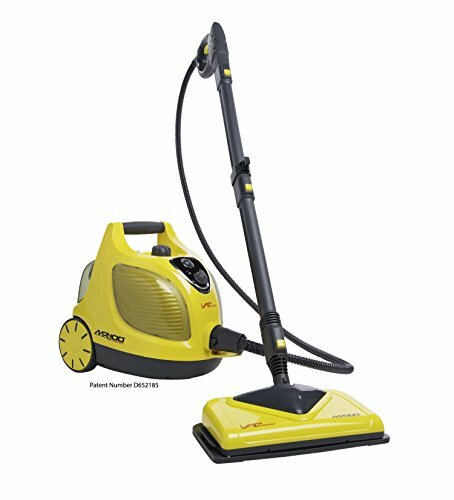 For bed bugs, we recommend vacuums have HEPA filtration, attachments to reach cracks and crevices, and a way to easily throw out the contents sucked up. The Atrix Bug-Sucker has all of these features at a reasonable price. 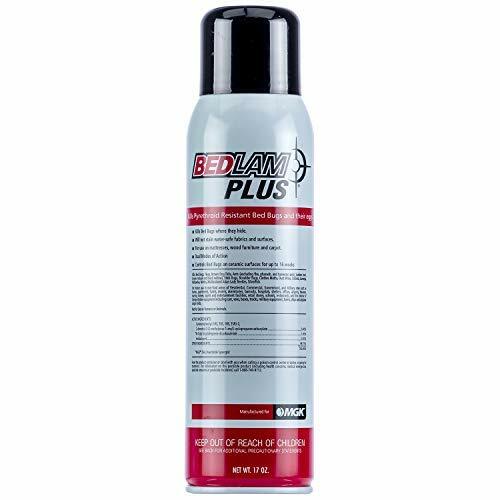 Another option for bed bug killing and removal are bed bug powders. They are great for applying directly to areas where bed bugs reside. When the bed bug walks through the powder, they begin to dry out and slowly die from moisture loss. Why it's the best: CimeXa is synthetically made in a lab to produce a drying agent that binds to the bed bug's outer layer and absorbing the moisture in their coat causing them to die. CimeXa has tested and has beaten other diatomaceous earth products in head to head evaluation. 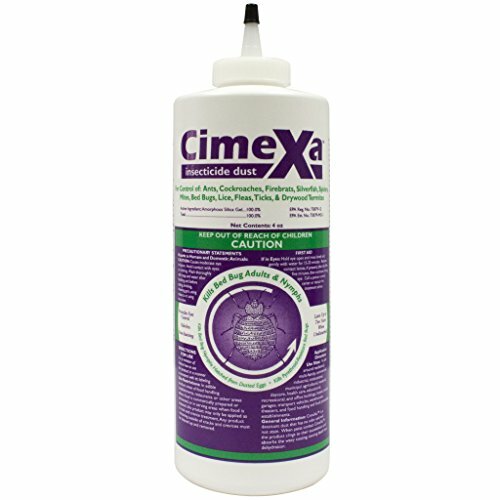 We love CimeXa because its been tested and does work just as good (if not better) than its DE counterpart. Why it's the best: If you're not going with CimeXa then you'll probably end up with a diatomaceous earth formulation bed bug powder specifically meant to kill bed bugs (not to be confused with food grade diatomaceous earth, that's different). DE has been used time and time again to kill bugs, so it does work. The question is how effective is it relative to other options? We like this brand because it's simple and easy to use although there aren't very many differences between brands when it comes to DE. Possibly one of the best ways to kill bed bugs is through the use of heat. Professional exterminators often turn to heaters to increase the temperature to kill bed bugs inside every crack and crevice of a home. Why it's the best: Measuring at 80”x111”x 57.5”, the this is ideal homeowners who want to purge bed bugs from large items such as beds and furniture. Although expensive, this heater could potentially save you thousands of dollars in replaced belongings if you were to go through a bed bug infestation. With a simple setup and positive feedback from customers, we like this product as a solid investment. Why it's the best: If you're more of a traveler and want something smaller than the Heat Chamber, we'd recommend the Heat Oven by ZappBug. Measuring in at 39” x 39” x 27", it can still save fairly large items and can be a great to use when you come home from travel. Just drop all of your belongings (clothes, suit case, etc) inside the oven and turn it on to kill any bed bug that may have come with you.